International Entrepreneur Rule « The Law Office of Barbara A. Marcouiller, P.S. o Partially satisfying one or both of the above criteria in addition to other reliable and compelling evidence of the startup entity’s substantial potential for rapid growth and job creation. Under the proposed rule, entrepreneurs may be granted an initial stay of up to two years to oversee and grow their startup entity in the United States. A subsequent request for up to three additional years would be considered only if the entrepreneur and the startup entity continue to provide a significant public benefit as evidenced by substantial increases in capital investment, revenue, or job creation. Comments on the proposed rule will be accepted for 45 days, after which USCIS will address the comments received. The rule will not take effect until such time as a final rule is published. Note that there is no timeline for when the final rule may be published. Sometimes it can take several years to get a final rule, although it is believed in this instance the Government would like to get it finalized prior to the November elections. Given the requirement that the enterprise have been formed within three years of publication of the final rule, entrepreneurs may not want to rush to form companies until there is some better clarify from the Government on the timing of the final rule. Note also, the discretionary temporary authority to remain is called “parole.” In the U.S. immigration context, parole is not an actual “status” such as a visa would provide, but rather just “allowing” a person to be here. That fact raises a question of what happens after the two or five years of investing in your business. There does not appear to be a provision to convert the temporary stay into a permanent status. No doubt, that will be one of the issues raised to the government during the comment period. One of the challenges on that point is that creating a permanent status may require legislative action by the Congress. For now, existing foreign enterprises that desire to open a branch or subsidiary in the U.S. should investigate whether they may qualify for an L or E visa. Still, this is very good news and one solid step in a positive direction. 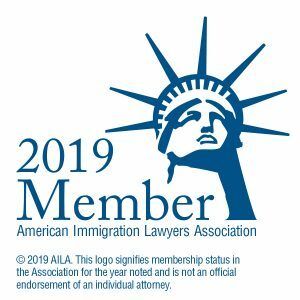 Barbara A. Marcouiller, Esquire, is an attorney in Bellevue, Washington with 23 years of experience in immigration law, and a master’s degree in international business and economics. She is a frequent speaker at immigration law seminars.